On his first visit to the fast sweeping Goodwood circuit Jack Woodhouse put his Lola on the front of the grid with an impressive 1 min 30.87 sec -fastest lap ever for this category of Juniors- just at the end of the session. 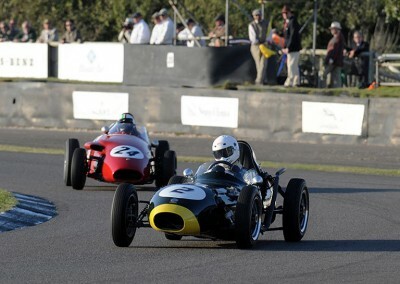 However the A Series-engined 1959 Elva 100 is no stranger to pole position at the Sussex circuit as Jack’s father Mark achieved the feat in 2000 and in 2009.In the race the action was as close as ever as the first four cars battled for the lead. 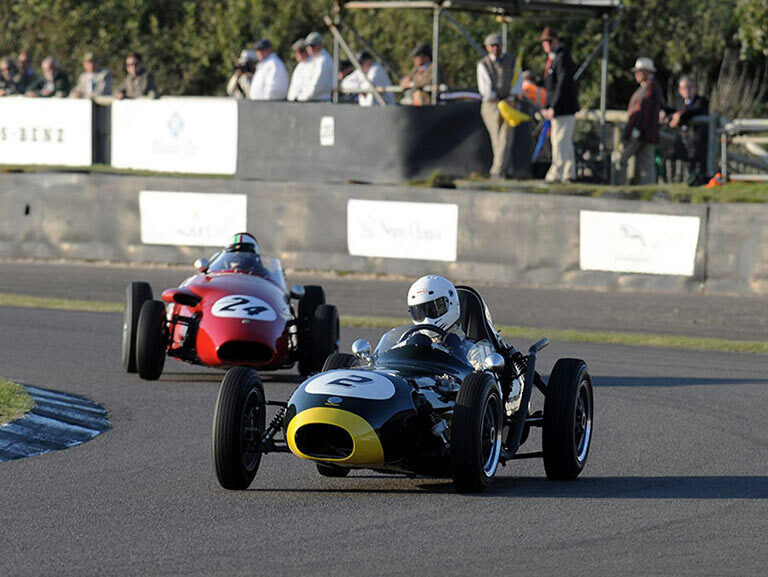 As Jack says, “Slipstreaming up the back straight at 125mph in an old car with drum brakes is very exciting.” At the flag Jack took fourth just behind the Ford-engined trio after carving almost a second off his practice time.